With our busy schedule, especially in the metros, we are running short of time. The hours during the day cannot be stretched. Always 24 hours will make a day, so what is the option? The only option that looks relevant is planning the hours / day / week / month / year in order to utilize maximum available time. This brings the calendar in picture. With almost everyone using a smart phone in their pockets, ‘Calendar’ is in the vicinity only. Considering the hectic schedule, App Gyaan is today with the five best android Calendar App that will organised your day. We hope that these Apps will help you in defining your day, if satisfied, please share your comments and suggestions, your valuable feedback would help us. 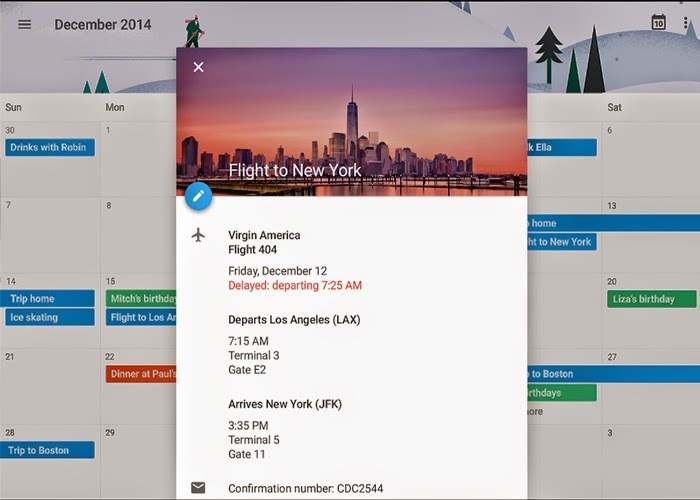 Google Calendar app is a default calendar app for android devices, and pre-installed in almost all android devices. 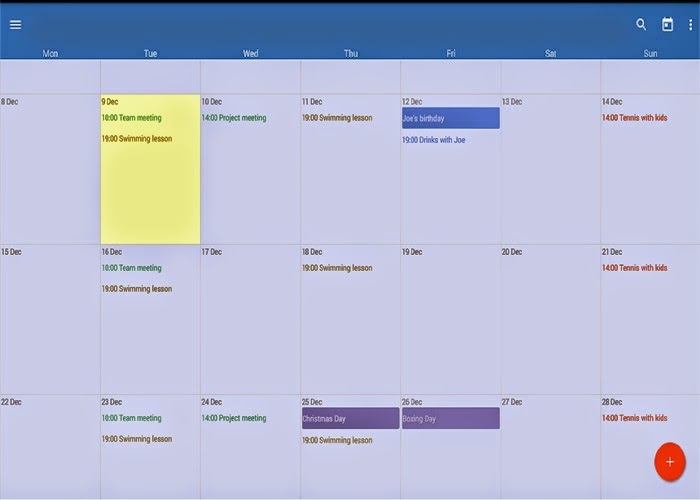 Some of the features of Google Calendar is that it can be viewed by day, week, month or by one’s agenda. Agenda shows on which day the things are scheduled and skips none entries. Each calendar is colour coded and it supports more than one entries for the same day at a time. 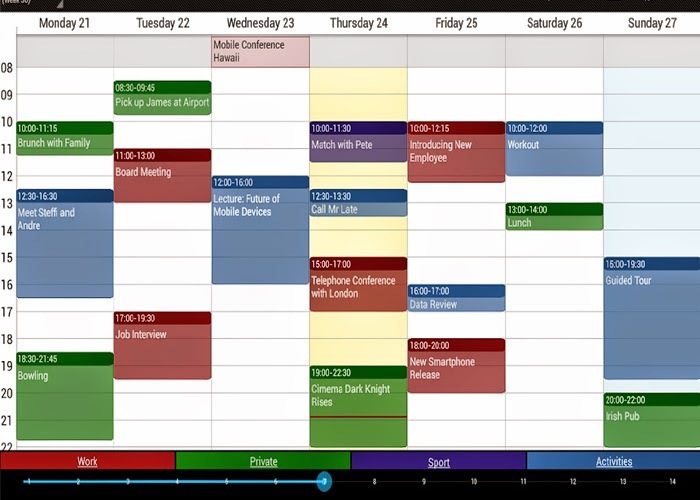 However, Google calendar goes too far in relying on its colour-coding. Adding any notification in the Google Calendar is quiet simple and gives you an ease in using. The best part of aCalendar is that it provides all kinds of functionality that you’d like to have in a calendar, including reminders, options to repeat an event in future and better widgets than Google Calendar. aCalendar also gives a better overview of information when looking in a monthly or weekly view too. 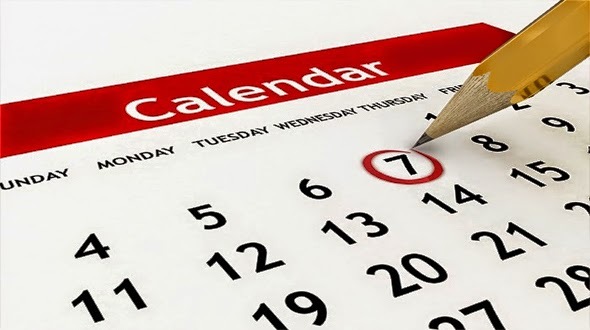 The information regarding each event in the monthly calendar is being navigated about to different days easily using the buttons available at the top. Next in the list is Business Calendar, which is free like others in the list. Business Calendar actually relies on having Google Calendar installed for some of its functionality, so you perhaps wouldn't call it a replacement, more than augmenting of its functionality- albeit in a very different package. As such, the monthly overviews look much same as the stock calendar, meaning just color-coded days by default. However, clicking the ‘Show Text’ icon at the top gives a better overview and does as the name implies. Clicking on a single day in monthly view just pops up the details without actually going through them. 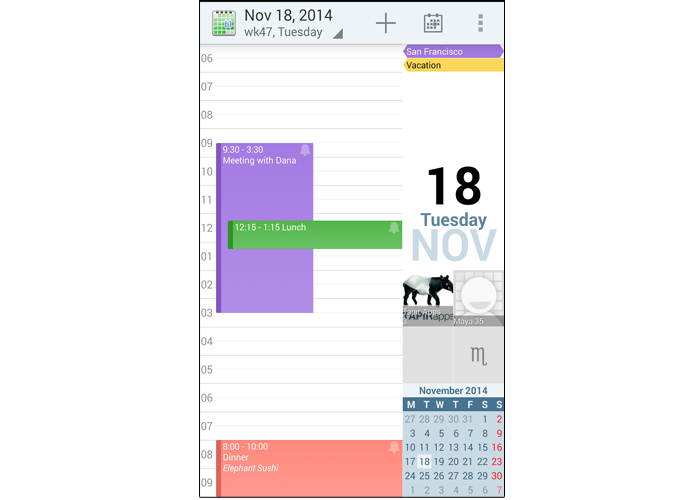 Business Calendar also provides the pro-version of the app with some additional features. Checkmark is the benchmark for a number of calendars; it supports as soon as you boot it up for the first time. 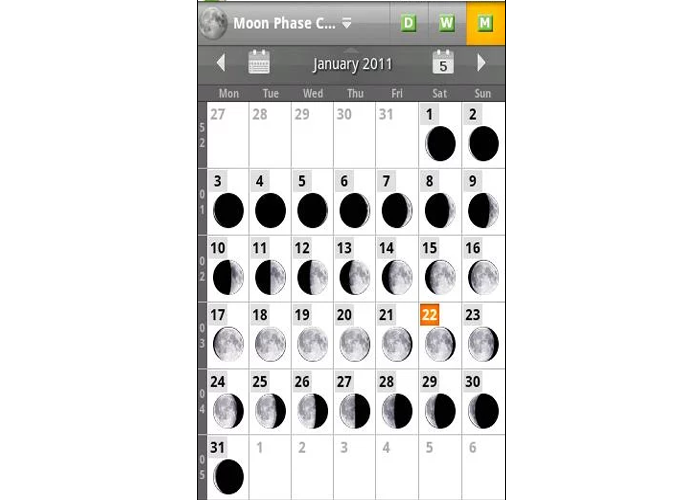 Now it only syncs with the one already synced with your Android phone (or Tablet), Moon Phase, Zodiac and Photo Calendar, which is the best choice at App Gyaan. While the novelty of the featured set is really attractive, the actual calendar itself looks a little cluttered if you've got lots to manage and choose to view all of them at the same time. Touch Calendar Free is from a far simpler school of thought than some others here but it integrates easily with your existing calendars and gives a clean interface with a decent overview of all your appointments, which after all, is what a calendar is expected. For a person who is looking at a simple app to manage their days then this is the best app to use. Like others, ‘Touch Calendar’ also supports double tapping and pinch-to-zoom for making sure you select the right day, the search function is backed into the handset’s search feature. Hope you have like the post and it would have surely helped you in taking decision on the calendar apps that should be available in your Smartphone.